Today I hit a new squat PR (personal record). 405 LBS!! 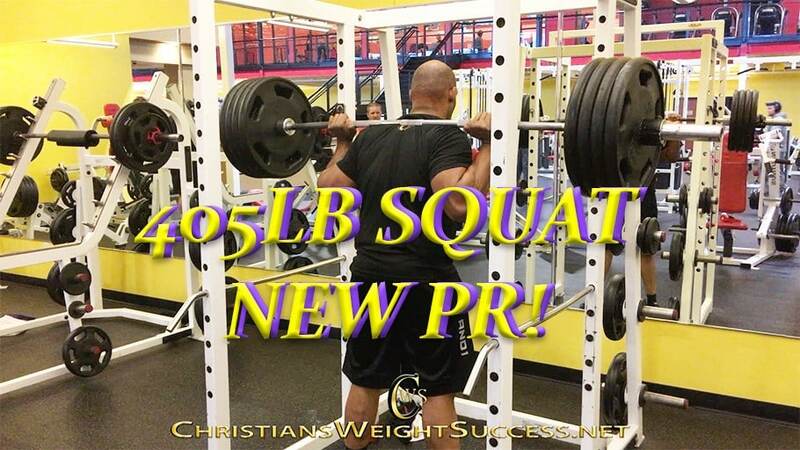 I am excited to finally join the 400 plus squat club. This felt better than what I’d imagined. You’ll never know how strong you are until you push yourself to that point to question your strength. Today was leg day so I’ll give you a quick run down of what I did before I got to this. After that last set I felt I could go for 405. I had planned just to walk the weight out to get a feel on how it felt on my back. As I was walked out I felt it wasn’t as heavy as I imagined. Next thing you know my knees are bending and I’m squatting! I did it for 2 reps! I was surprised at myself. I had to take a moment to myself after the lift because it was a major accomplishment for me. This lift wouldn’t have counted in this modern day society without footage. I asked my fellow gym mate to record me and he did. He told me his name but I forgot, but thanks bro! So, this is actually my second set! It felt good. I’m going to start implementing these in my leg day workouts now. At least singles of 405. The footage is below. Please click the play button. Let me know what you think. Thanks for all of your support! This entry was posted in GYM WORKOUTS and tagged EXERCISE, golds gym, leg day, MOTIVATION, weight lifting, workout. Bookmark the permalink. Congrats on your PR. that is awesome, seriously. Gains for days. I just wanted to thank you for your “like” on my post and I also wanted to ask you how did you start out with your weight loss? Did you get a trainer or did you research effective ways to workout? I’m not asking for your exact details but moreover a generalization. I’ve attempted lifting at the gym but I’m very much a newbie so I don’t think I’m getting the most out of what there is at my fingertips. Any advice for someone starting from scratch?